Brackets aren’t just for basketball anymore. There’s Mammal Madness, Tech Madness, even Comic Book Madness. 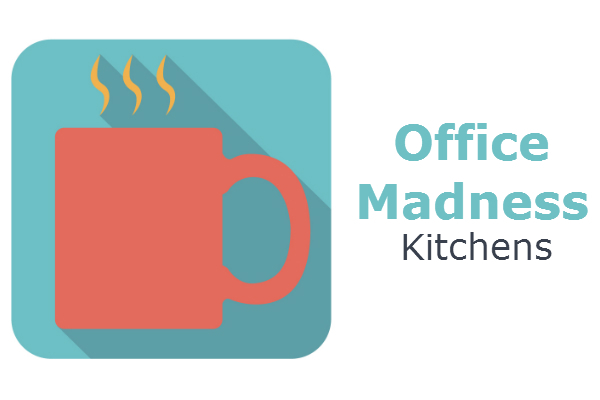 Here at TDS, our own top-notch team of cubicle correspondents have been busy compiling and categorizing everyday office annoyances so we can bring you…Office Madness 2016! Over the next week and a half, we want you to help us choose the worst of the worst…those little nagging issues and pet peeves that, when added together, help make the flexibility to work from home one of today’s workers most-desired perks. First up is the Kitchens Division. We’ve tackled the ten commandments of kitchen etiquette before, but now’s your chance to decide if Burnt Popcorn is still the worst offense or if those Lingering Leftovers in the refrigerator are even more annoying (not to mention gross). In our informal surveys, Microwaved Fish is an up-and-comer and you shouldn’t overlook the dual java-related issues of Bad Coffee and Empty Coffee Pots. Vote below to choose what Kitchen annoyance moves on to the semifinals and then check back tomorrow to make your pick in the Cubicles Division. What is the kitchen-related office annoyance?